I’ll come clean on something- I don’t particularly enjoy survival games. I don’t, I really don’t- the incessant need to fill various meters that constantly run dry, managing a stamina bar that is just never good enough, finding food and shelter… In essence, it feels like day-to-day life and I genuinely don’t have to experience day-to-day life in a game to understand how it works, being alive is sort of a lived experience for me. But see, I don’t encounter a lot of zombies in my day-to-day life and zombies provide an interesting context, which is one ray of hope right? Case in point: State of Decay 2. Grab, like, fifty chocolate bars, this is gonna be a while and might get pretentious at some point. What makes a survival game? Survival elements as a mechanics in a game serve two-fold purpose: first, they provide a challenging act of balancing different resources- food, water, ammunition, etc. This challenge is integral to fun gameplay- it’s not that different from a strategy game, your winning condition is predicated on how good you are with managing different resources. Secondly the point is to provide an engaging gameplay loop- you acquire resources, invest them, lose some of them, gain more, rinse and repeat. 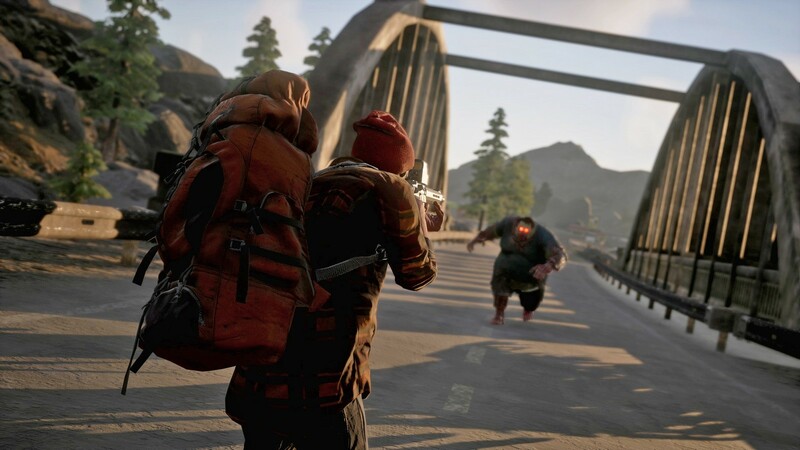 Now seeing as State of Decay 2 very much wants to be a survival game, how well does it fare with these two core assumptions? It actually fares very well, the food, water and ammunition are scarce resources, but getting them does not feel like a downward spiral where you just constantly end up with less stuff than you started out with, if you’re smart about how you invest your resources, it pays off. What’s more, proceduraly generated companions, base-building and cooperative mode make for some good, wholesome emergent storytelling. The expansive, open-world truly makes it a singularly unique experience. In addition, SoD 2 features a level-progression system where you will unlock new, mutually exclusive traits, meaning care has to be put into building your character. Dying will of course mean losing these perks, so it’s important not to get cocky. All this makes it a frantic, yet fun experience that scales up the longer you go on. Grab a mate. Go for a ride. Enjoy the sunset. Zombies optional. What makes a zombie game? So now given that lengthy preamble, does State of Decay 2 know why it even has zombies? Do they serve any kind of larger purpose, some kind of narrative goal? This is of course a rhetorical question, if the answer was yes, I would just tell you that it does and I would wax lyrically how State of Decay 2 grasps what, to my knowledge, only two games ever understood- Telltale’s the Walking Dead and Dead Rising. Oh, and Left 4 Dead, because it literally lets you play as a zombie- that’s how well Valve understood the point. I do not know the scientific explanation behind the orange glow, but hey, zombie’s a zombie right? A survival game with zombies in it. 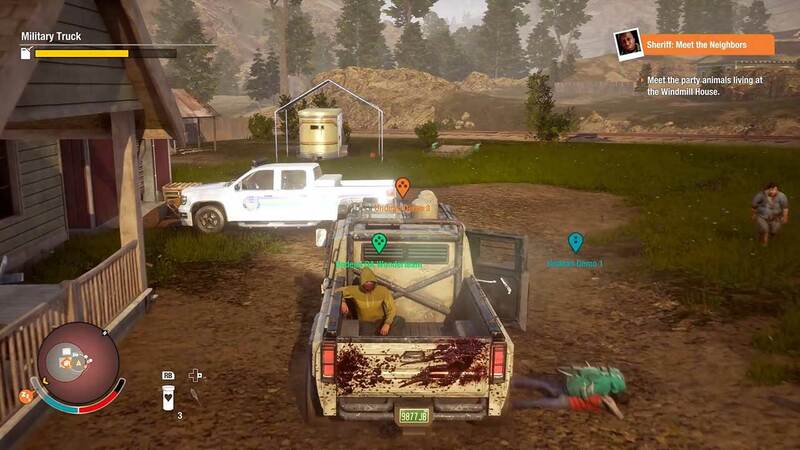 Now this is not to say that zombies in State of Decay 2 serve no purpose- they very much serve a mechanical one. See, shooting the zombos in SoD 2 is fun, it’s very fun. Different weapons are entertaining to use and tackling a large group of undead with several specials in there can feel like a challenge that was gratifying to beat. Now admittedly, due to the procedural element of the game as well as the open world the story is lack-luster, to say the least. The snippets of information provided about the survivors you rescue hardly turn them into interesting characters, in fact after a while they all start feeling very same-y. The plot is nothing to write home about either- it starts by telling you what to do, solve the Plague, you look for ways to do it and then you do it. Ultimately this is deliberate- it serves the broader goal of a cooperative, open-world survival gameplay, so it’s hard to fault SoD 2 for it. Can’t help but feel this could just as well have been an alien. But I’ll take what I can get. 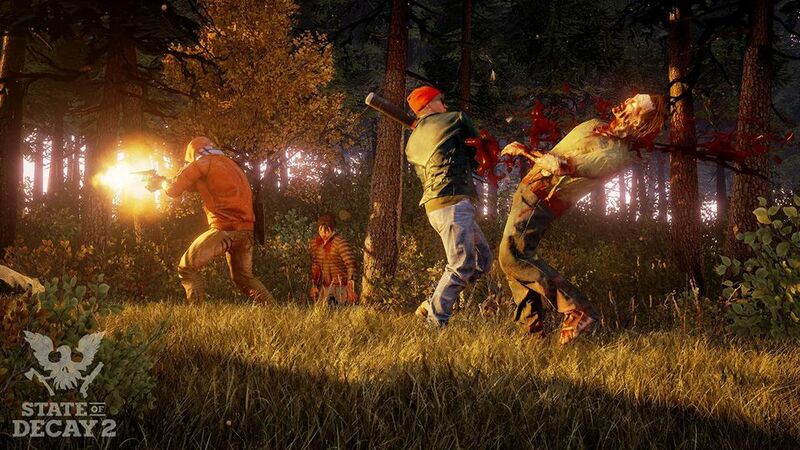 Is State of Decay 2 a good survival zombie game? Broadly speaking- yes. As far as unique elements it has going for itself, the cooperative mode, coupled with base-building and procedurally generated companions make for fun and varied gameplay, although lack of story focus does make this game feel slightly empty. The zombies are fun to kill but they are, well, just zombies, they are just a thing to shoot in your survival game. I cannot help but feel like, were it two years ago, this game would have been absolutely great, but now, it seems like its time has sort of came and went. It has unique elements to it and the gameplay is fun but it’s genuinely hard for me to say more than: it’s a solid cooperative survival game with zombies. Frostpunk review- a beacon of hope in the cold wasteland. Manage your own base populated with procedurally generated survivors or respond to a friend’s call for help and send one of your people to help. 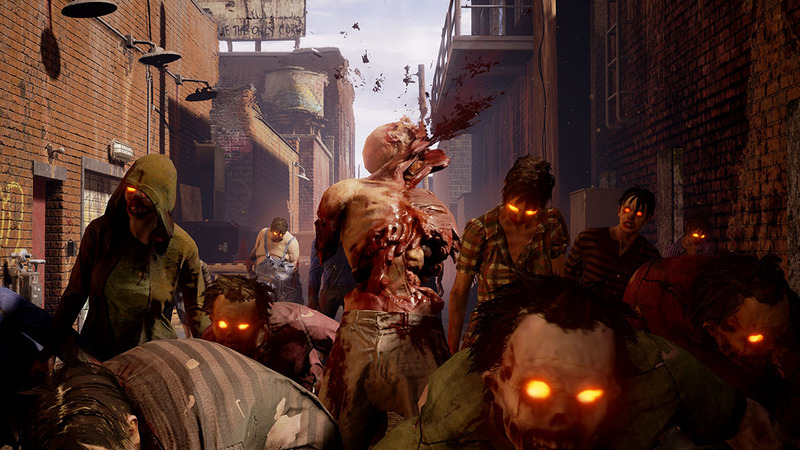 State of Decay 2 is an engaging survival game set during an onslaught of ravenous zombies.